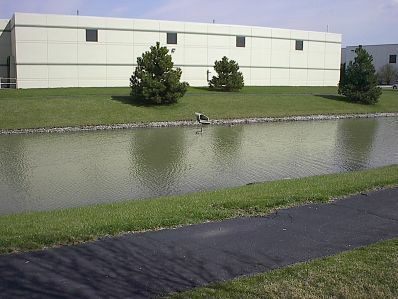 Industrial landscape maintenance offers a unique challenge to landscape maintenance contractors. Industrial properties have concerns that commercial and multi-family properties usually do not have. Suburban Landscaping has years of experience in maintaining industrial properties and is flexible enough to service all types of industrial property. Below, we address some common concerns from industrial landscape maintenance clients and address how we can help. 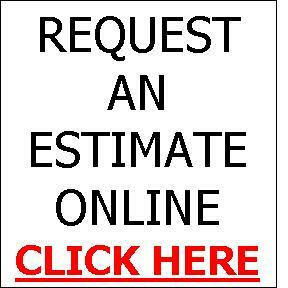 Most industrial landscape maintenance clients have gated, guarded, or restricted access areas throughout the grounds. Typically keys, swipe cards, and access codes for these areas are on a limited distribution and often change routinely. We are familiar with these concerns and have Manager level employees who account daily for the different access devices provided by our industrial landscape maintenance clients. At the end of the landscape maintenance season, the return of these access devices is also accounted for. We know how important safety is at industrial landscape maintenance locations, and how it can impact our clients. At Suburban Landscaping we pride ourselves on our above average safety rating and the well being of our employees. Our Workman’s Compensation Experience Modification Factor is always better than average, and is monitored in monthly safety meetings. Our trained staff is very familiar with safety equipment and clothing that is necessary to work in an industrial setting. Hard hats, eye and ear protection, gloves and work boots are just the start of our safety procedures. If safety is your main concern, then the company providing you with industrial landscape maintenance should reflect that. Click this link to see our page on Insurance and a copy of our COI. Industrial landscape maintenance can be a messy, dirty business. However, most industrial sites have requirements, regulations, or inspections that require a clean environment at all times. Knowing this, we have trained our crews on clean up procedures, gasoline concerns and use, and personal habits on industrial sites. At industrial landscape maintenance sites, a clean work site and safety often go hand in hand. 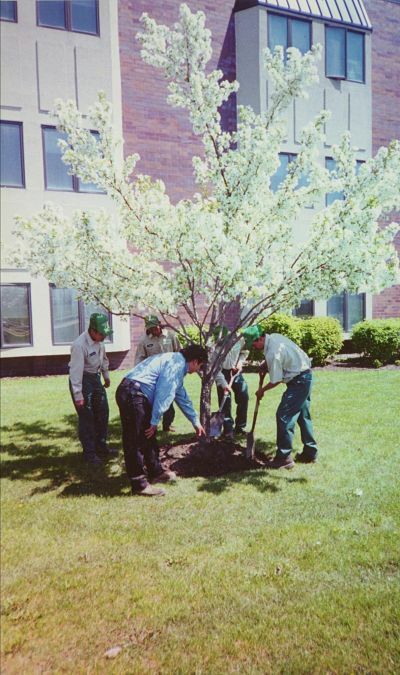 More than any other type of client, industrial landscape maintenance clients have a need for unwanted vegetation control. Fence lines, gravel lots, parking lots, foundations, and railroad tracks are just a few of the types of vegetation management that Suburban Landscaping can offer. We can evaluate and propose a plan for managing your vegetation areas and our trained staff can implement the plan on a one-time or ongoing basis. Another popular vegetation management service for industrial clients is field mowing. If you have a unused field or parcel of property waiting for development, have us mow the property on a set schedule to avoid municipal tickets or fines. Winter can be the most challenging time of the year for many industrial properties. Our snowplowing and ice control services can be a valuable safety tool to most properties. Our 24/7 service with dedicated equipment and crews can make the winter months a painless time for facility managers.